WeatherTech Cargo Liners offer durable cargo area and trunk protection. Each cargo liner mat is made to cover the carpet from edge to edge. The attractive fit and durable construction make WeatherTech Cargo Liners a smart choice for carpet protection. The cargo liner comes in many, many styles—one to fit almost every SUV, car or station wagon to the T. A 3” lip keeps spills at bay until you can remove the liner and pour the liquid out. A non-skid textured surface minimizes cargo shift through sharp turns, sudden stops and winding back roads. 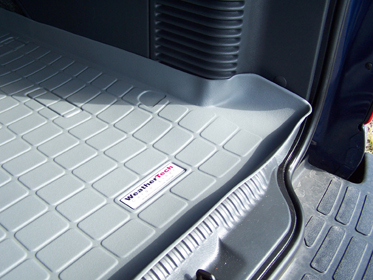 WeatherTech cargo liners are drop shipped from directly from the manufacturer. Please allow 5-7 business days for delivery. Express shipping is not available on this item.